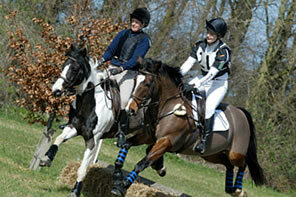 Welcome to the Beccles and Bungay Riding Club website. The web site is the ‘magazine’ of the club keeping members up to date on all events and news. It’s your club and your website so please submit any reports on what you, and your horse are achieving, even if it is outside the club events. We take pride in our members as their riding progresses and love to hear about your successes. All schedules to club events are available for downloading here, and results are published on the site as soon as possible afterwards. We also have a Facebook page where you will find our schedules, results and news, and we also publish schedules on Horsedates. Interested in joining Beccles & Bungay Riding Club? CLICK HERE for detail on joining or renewing your membership. Click on the tab in the right hand side bar to view our events and schedules. Non Club Events and Notices of Interest. This page is accessed via the BBRC News tab. Just hover your cursor over the tab and the Non Club Event tab will drop down. Click on that tab to access the page. This page is open to everyone and will contain details of non-club events and other items that maybe of interest. If you are organising an equine based event and would like it advertised here e mail the details to us via the Contact Tab at the top of the web site page. This is accessed from the Members Log In page. Just click on the drop down tab. The purpose of this page is to make it possible for members looking for a lift to a show, or if you are willing to give another person a lift to make the offer known. In this time of spiralling fuel costs perhaps we could all do with a little help. This is also accessed from the Members Log in page. Again just click on the drop down tab. The comment box at the bottom of the page enables members to ask questions, make suggestions or just to express a comment on the club and its activities. All comments are moderated and the club reserves the right not to publish offensive or abusive comments. Constructive criticism is welcome. On this page you’ll find the latest news about the club, Events, Trophy points. You can also find this information in the right hand column. Looking for something connected with your horse life? – take a look and what’s being offered in our advert section.